I get stir crazy if I don’t have anything to do… Life’s pace got a little to slow and indulgent for my tastes a few months back. My business (The Underground Cooking Club) is off to a slow but steady start. I am pleasantly surprised to find out how much I enjoy teaching culinary arts. Over the previous months I taught several classes and even ran a summer culinary boot camp for young adults. The other few odd jobs here and there have been a great opportunity to add to my saving account. Though I enjoy stability and am more than ready to settle down and start a family and long term professional goals; part me of me is a wanderer at heart. I am pretty sure that part of me is the eternal 5 year old that runs around barefoot and laughs at the sun. When I got that feeling like it was time to travel…I had no idea where to go. Mission Europe was easy. There was a purpose. I wanted to attend the slow food festival and planned my entire journey around that event. So with no clear direction, I began to do some research. The wisest option was to choose somewhere in the USA, mainly because it was cheaper and if I got a job offer, I would not have to go through the headache of visa paperwork. Initially I looked into anywhere I had a friend I could stay with. Most of those ideas proved uninteresting; not much to learn culinary-wise. Many suggested Texas. I love Texas. Cliché I know, but I do. What’s not to love? Warm hospitality, great music, delicious food and friendly people who know how to have a good time… Only problem? I can do Texas any time I please… It was just too easy. Now anyone who knows me at all would know I never take the easy route. At least not if given the choice. I enjoy a challenge. Not to say that easy things do not have their merits as well as their place and time. Frankly though, for me, there and then, Texas was not the place to go. My criteria was fairly lax… I wanted a place with an interesting culinary scene, weather that wasn’t terribly cold (to avoid investing in winter attire), and a location with plenty to do any day of the week (to stay busy and avoid the excuse of staying home with nothing to do). I looked into 3 main places: Chicago (IL), San Diego (CA) and Fort Worth (TX). All 3 locations had good stuff, but none of them seemed to jump out at me. I decided I wanted to stay gone for 3 months, a little over twice as long as Mission Europe… Keeping the longer stay in mind, I noticed few things to keep me interested as the months would go by in all 3 of those locations. Texas proved to be the best, but again…too easy. After much consideration I decided to just think for a while. 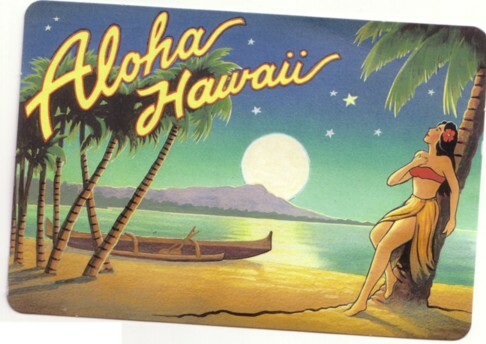 And then…epiphany…I noticed 3 friends had been to Hawaii in the last 3 months and all had good things to report. It occurred to me that while I could learn any type of cuisine in the 3 original locations I was considering, Hawaii is almost a culture and cuisine all its own. Why go to California to learn Japanese food? Go to Japan! If you want to learn a traditional cuisine in the USA, choose one such as Tex-mex, Cajun or Creole, Southwestern or…Hawaiian! It made perfect sense! The weather profile was almost identical to Costa Rica, the cuisine is very defined and there is tons to do everywhere! After much deliberation, excessive planning, last minute details falling into place, a few setbacks and a sponsor dinner, I embarked on the Aloha Adventure. So Hawaii it was and Hawaii it is.